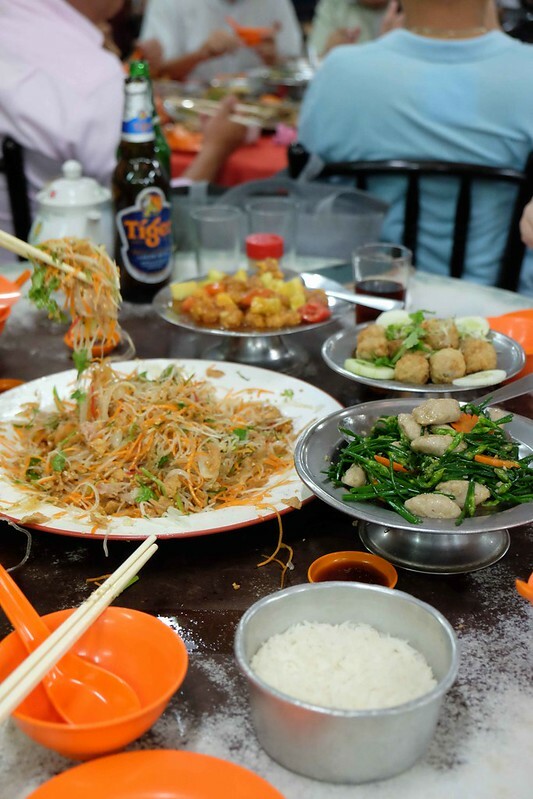 Looking for a good classic Chinese restaurant in KL? 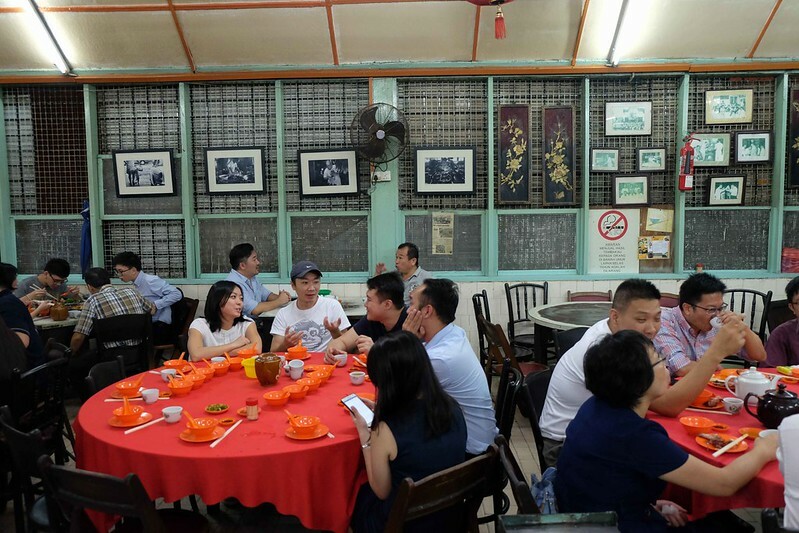 Look no further for this legendary Sek Yuen Restaurant that had been operating in Jalan Pudu for decades. Residing in this old classic stand alone shoplot that is brightly lit with 70’s neon like as the building outline is making a huge bee line during Chinese New Year. 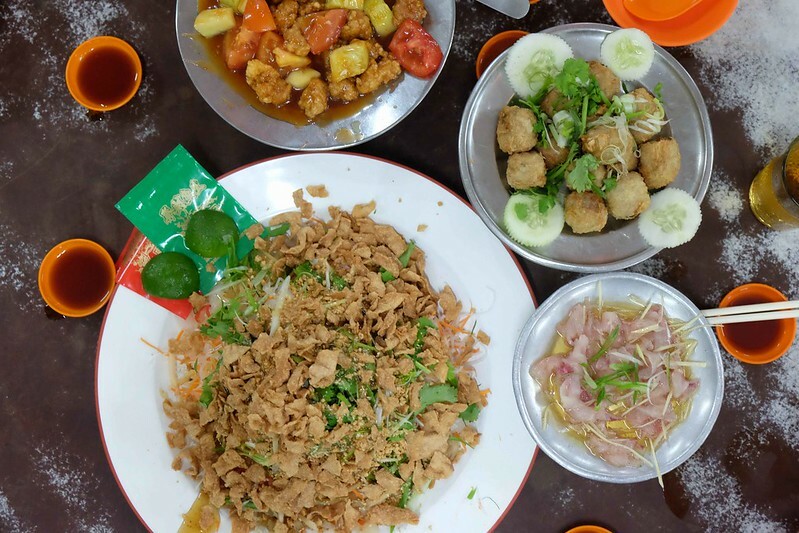 They are also well known for their dai chow with old classic taste that is mostly run by old folks of family members. there is no bookings allowed as they only encourage walk in. I was there last year for the first time to enjoy lou sang. 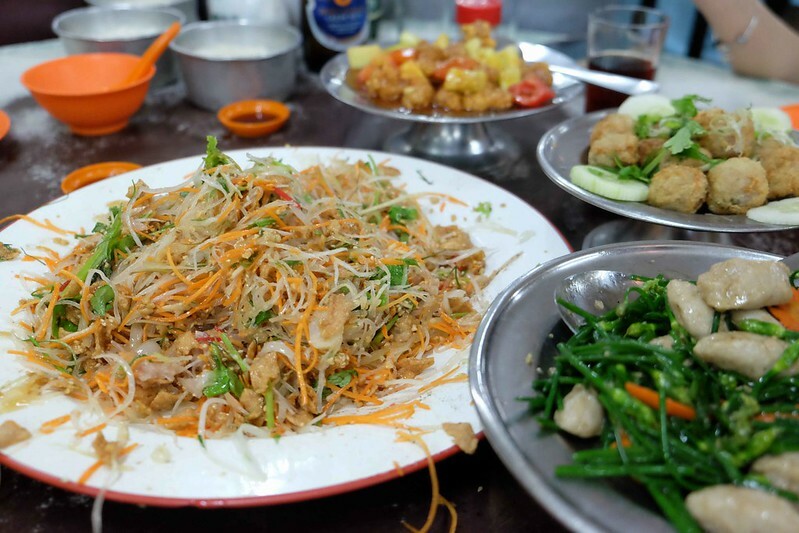 I was told that the history of Lou Sang, they were the first to create this trend out, or they are the founder of Lou Sang Tradition. 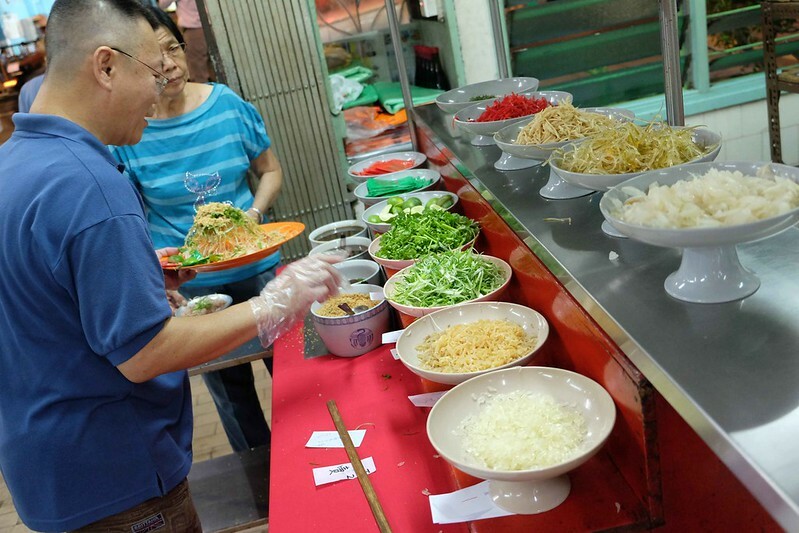 Ingredients of lou sang in here are all made from scracth and fresh. Therefore during CNY and if you are here, it is a must order dish. A perfect place for gathering that is transporting you back to the 80’s, with all the wooden frame windows and classic pictures of the restaurant. they do not really use salmon as they use other types of fishes, marinate with ginger and their own special oil. this is their signature lou sang. 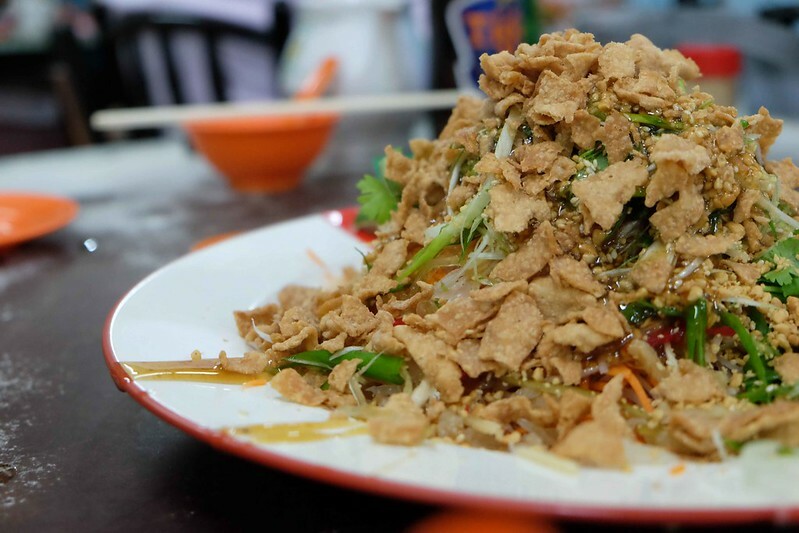 Love the texture of lou sang, as it taste fresh and crunchy. Every bite is with crunch. Sauce is filled with light sweet, sour and hint of bitterness to make it a great dish. 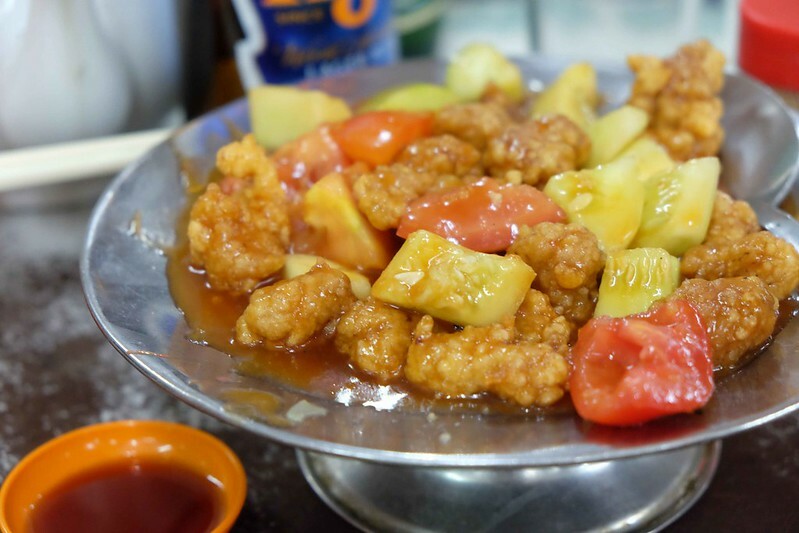 When you are in classic restaurant, we order back all the classic dishes such as Sweet and Sour Pork. 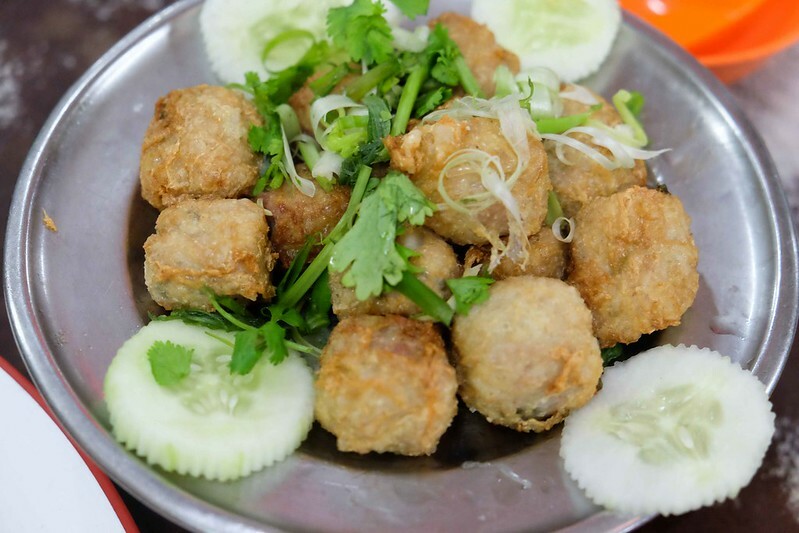 Was told this is one of their signature vegetable with homemade fish ball. 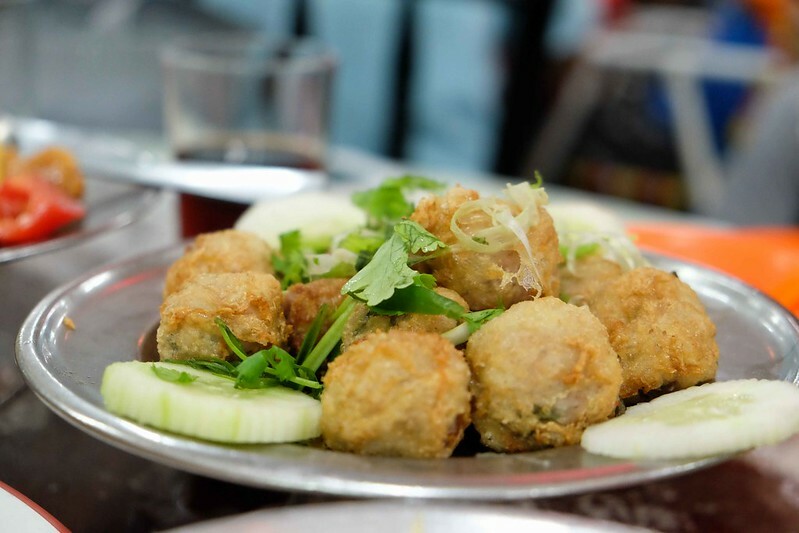 Quite a unique vegetable that is very crunchy and fish ball is bouncy yet not too dense. 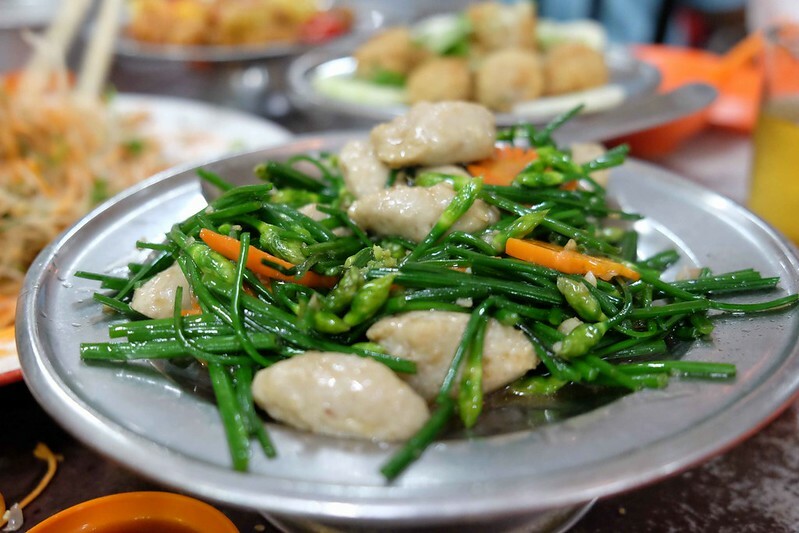 If you remember your classic food, this is one of the dish that MUST ORDER. 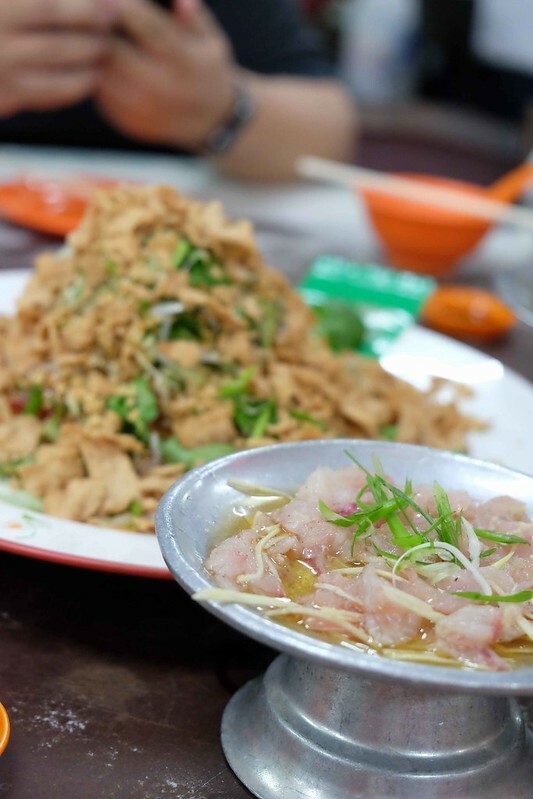 Stir Fried Shark Fin with Egg. 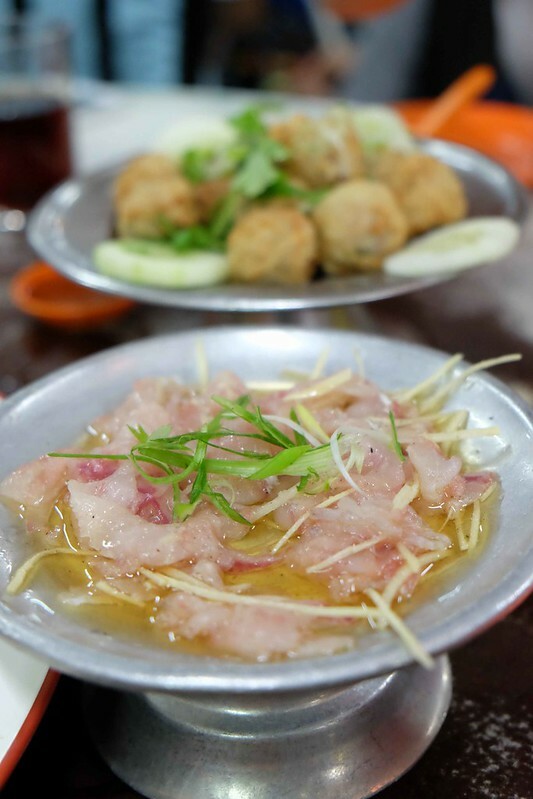 Generous amount of shark fin, egg fried to perfection and filled with wok hei and indeed a classic taste like when I ate it when I was a kid. To eat this, you must take a spoonful of it and put it on a slice of cabbage. Then eat it together. Whoola. Perfect! 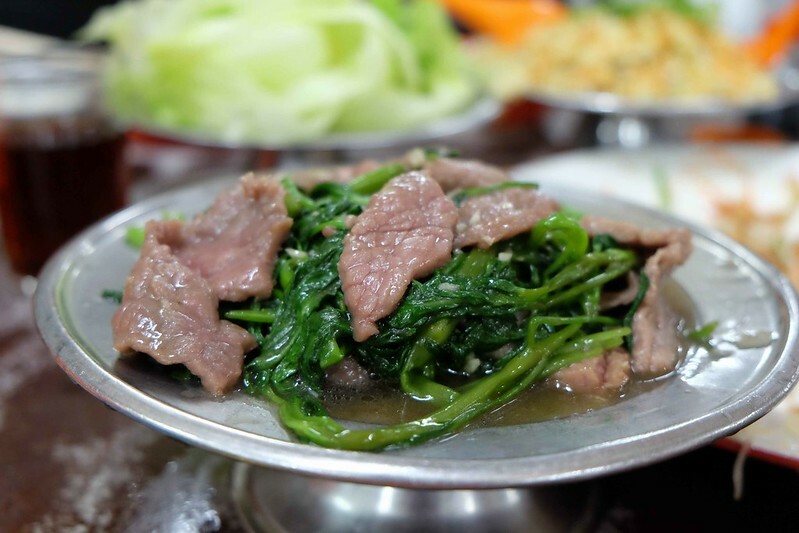 Stir fried beef with vegetable. Pretty good too. We wanted to order duck as it is their legendary signature. It was sold out when we reach at 7pm, we will definitely go back again to try their other dishes. 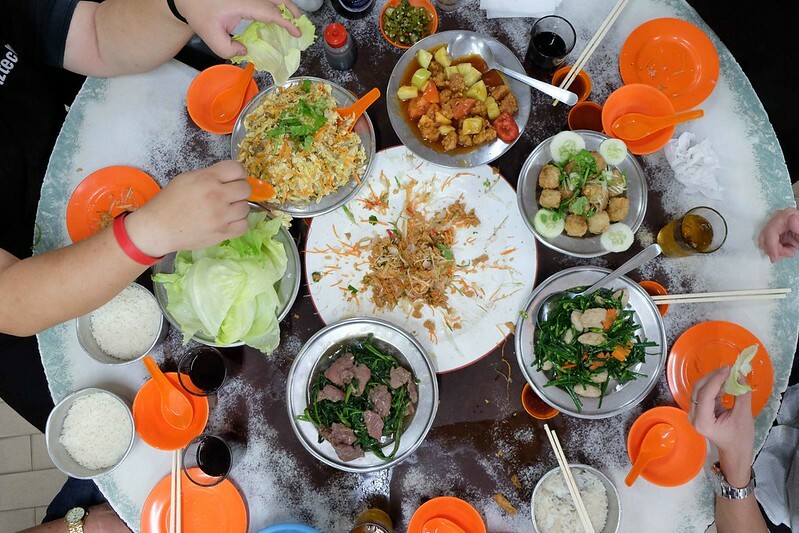 If I remember correctly, our dinner was about RM 55 per head for dishes above. They have expended and have the non air condition seating area and air condition. We prefer the classic ambiance hence to sit at the non-air condition section. 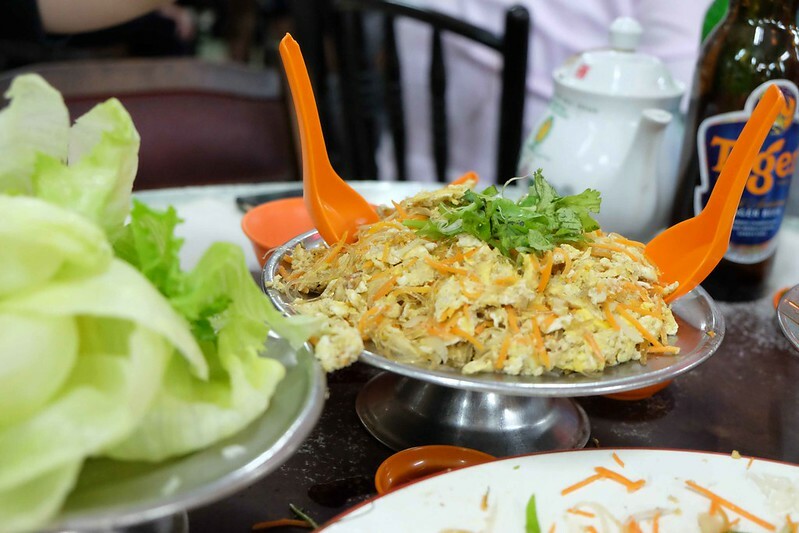 Indeed one of a great classic dai chow in KL that gives you old classic taste. 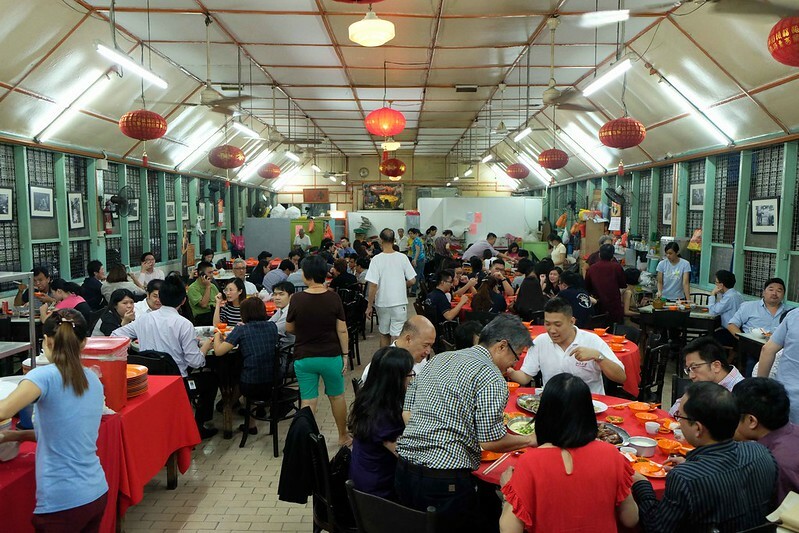 Went back a few times after CNY dinner last year and my dad loves it.